Groundwater yield testing and supervision. Groundwater and surface water sampling and quality testing. 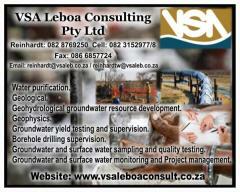 Groundwater and surface water monitoring and Project management.